Our patients absolutely loved it when a staff member dressed up as a reindeer to visit them at Christmas last year. 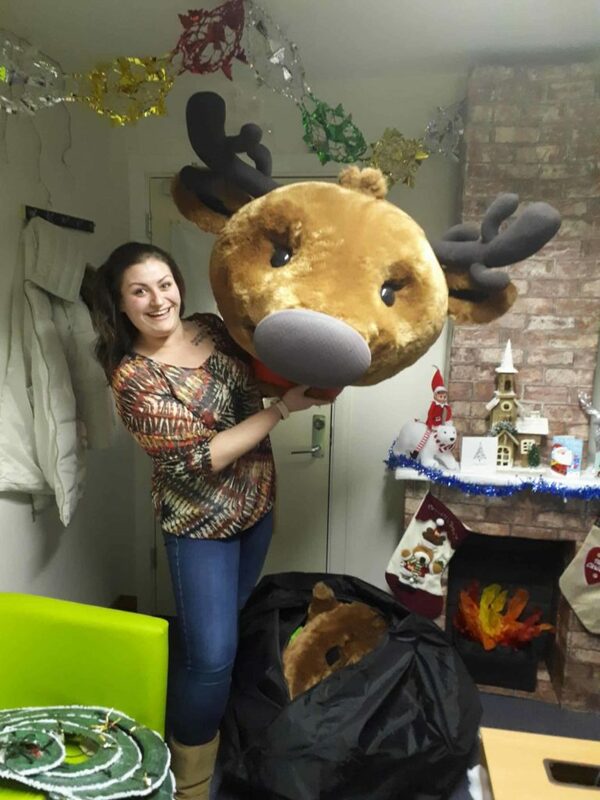 So this year we’re hoping to organise a visit from a small family of real reindeer, which we know will be a huge hit with patients. When we first started looking into the idea we didn’t even know if it was possible but funnily enough, there’s a company that are local to us that hires out reindeer for exactly our purpose. However, it’s not particularly cheap so we decided to raise funds for it – and we’re almost halfway there! 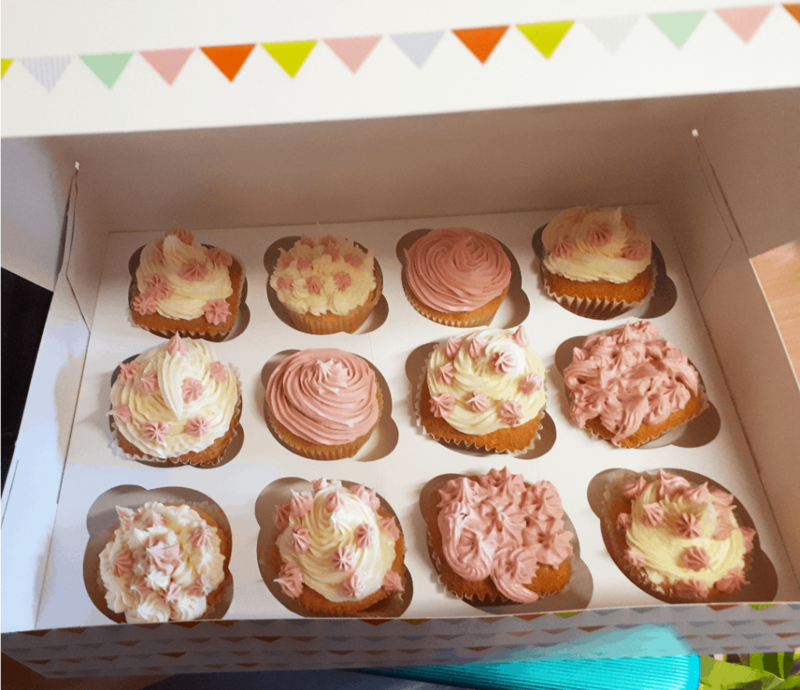 Fundraising endeavours include a raffle board (all prizes were donated by local businesses and the community), a Christmas Box which sells all sorts of goodies like cones of sweets or home-baked cakes and muffins and of course, lots of sponsored events. And whilst the sponsored events are essentially to raise funds, they are also helping patients to reach therapy goals such as keeping fit or self-control. Events range from walking the therapy dogs, to bike riding laps, goal saves, exercise bike laps and even a sponsored silence. Karen Mitchell, one of the Instructors at our Recovery College had to gently encourage patients to take part initially as some patients can lack confidence when it comes to setting and achieving specific measured goals. But now that they’ve seen what can be done and how close we’re getting to achieving our aim, they’re desperate to take part, which is amazing. Karen says ‘this gives them motivation and a goal which means they’ll appreciate this even more. But it also gives them confidence in their own ability, which is fantastic’. We very much look forward to seeing the pictures of the reindeer and patients at Christmas.